If you’re worried about your little ones turning themselves deaf before the age of ten via full volume headsets, the Philips SHK1030 children’s headset might be a good option to consider. Utilising a headband style design, the SHK1030 fits well on small heads while also being easily adjustable to compensate for growing pains. Usually a parents greatest concern isn't the audio quality but rather the actual volume levels, as headphones set to the maximum volume can cause hearing damage if your young one isn't careful. To curb this problem, Philips has introduced a new lockable volume control on the SHK1030. The headset features a volume control embedded in the cable as most headphones today do, but in addition to functioning as a standard volume controller, parents can set the maximum volume level. By removing two small screws on the back of the volume control, the maximum volume can be adjusted so that no amount of fiddling from your kid can adjust the sound any higher, leaving their eardrums intact, at least until their teens. As far as audio quality goes, no scamp can complain as neodymium speaker drivers ensures a crisp and perfectly balanced sound experience. Let's be clear here, this isn't Bose quality headphones featuring the best sound you can find, but hopefully your little one isn't enough of an audiophile yet to notice the difference. For all basic purposes such as watching movies and TV shows, listening to music and playing games, the SHK1030 delivers adequate audio quality. The SHK1030 also sees soft cushions doing service on the device ensuring a comfortable and soft fit on any small child’s head. 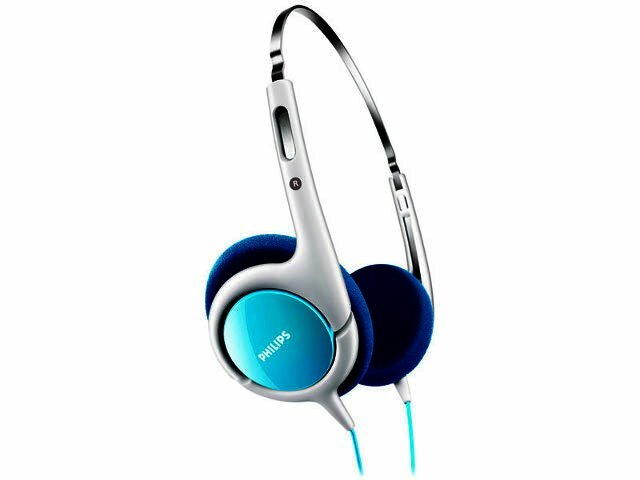 The Philips SHK1030 children's headphone is a good solution for kids, especially with the maximum volume fix and the smaller headband. But this headset is really only designed for kids, adults will find the device to have a bit of a tight fit. If you're in the market for something a little more serious (for yourself of course), the Asus Cinevibe and Verbatim Rapier may strike your fancy. It carries a retails price of R249 and is available at Game and Musica stores nationwide. The lockable volume control, soft cushions and comfortable headband are all great kid friendly features. The fact that it's only really suitable for kids gives the SHK1030 a slightly smaller target market.